The CMS has granted Indiana's Medicaid waiver that imposes work requirements and premiums on its beneficiaries. The waiver continues the state's Medicaid expansion, known as the Healthy Indiana 2.0 plan. Under the program, beneficiaries pay premium contributions, have health savings accounts, get incentives for healthy behaviors and can be locked out of benefits if they don't pay premiums. CMS Administrator Seema Verma had recused herself from weighing in on any decisions involving the Indiana waiver and Brian Neale, CMS' Medicaid director who is exiting this month, was also expected to recuse himself. Both helped draft HIP 2.0 when Vice President Mike Pence was governor of Indiana. As a result, Demetrios Kouzoukas, principal deputy administrator at the CMS signed off on the waiver. The newly granted waiver allows the state to require all able-bodied HIP participants to either work 20 hours per week on average; be enrolled in full- or part-time education; or participate in a job search and training program. Republican Gov. Eric Holcomb said he hopeful the new waiver will help to fill the nearly 90,000 open jobs available around the state. "Filling those jobs is truly going to take an all hands-on deck approach," Holcomb said at a press event Friday. "This gateway-to-work initiative is going to help connect HIP members to the very training they need to take that next step up, so that our state can fill that pipeline." Indiana won't require students, pregnant women, homeless individuals and some other Medicaid beneficiaries to comply with the work requirement. 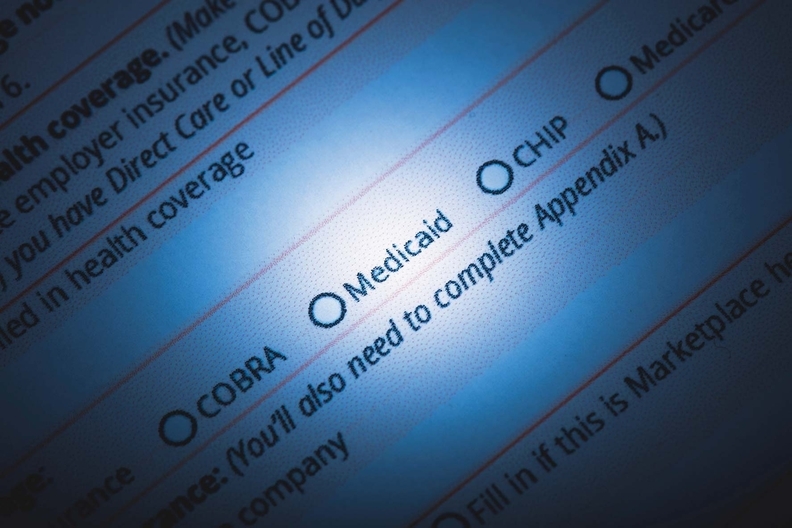 Indiana estimates that 30%, or 130,000 of the 438,604 Medicaid enrollees, will have to comply with the new requirement after factoring in all the exemptions. However, as many as 33,000 of the people still eligible for the requirement will choose not to comply, and thus lose their benefits. The state did not clarify in its waiver why these people would choose not to comply. Advocates slammed approval of the waiver, and instead encouraged traditional Medicaid expansion. "Requiring Indiana residents under poverty who rely on Medicaid for life-saving healthcare to prove employment or pay some of their meager annual income as a premium is heartless, punitive and unlawful," Frederick Isasi, executive director for Families USA said in a statement. "These policies will have terrible consequences"
Currently, 244,000 Indiana Medicaid beneficiaries are unemployed and an additional 58,000 members work fewer than 20 hours per week. Indiana is the second state, after Kentucky, to gain permission to impose work requirements on Medicaid beneficiaries. A 2017 study of HIP 2.0 found that about 29% of Hoosiers above the poverty line who were eligible for coverage missed a premium payment and either lost coverage or never fully enrolled because of it. Less than 20% of the people who lost coverage found insurance through another source.